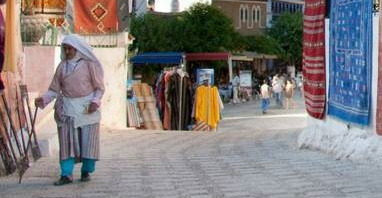 The first film of Crossing Borders Films' intercultural trilogy, Crossing Borders is a seventy minute documentary that follows four Moroccan and four American university students as they travel together through Morocco and, in the process of discovering The Other, discover themselves. With group travels and frank discussions, the students confront the complex implications of the supposed clash of civilizations between Islam and the West. The relationships formed through shared experiences contrast sharply with the media-shaped views Americans and Muslims have of each other. Humor, honesty and a willingness to be challenged all bring individuals closer to each other and the relationships that develop disarm hidden stereotypes. 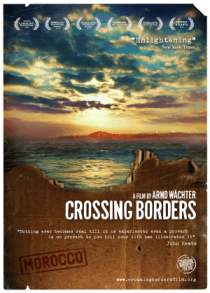 Crossing Borders is available now to purchase for both private and public screenings. In collaboration with National Geographic Education, Crossing Borders Films has created a web based tool which explores issues covered in Crossing Borders. It is available for free on National Geographic's website.